Hello sewing lovers. We have may be most creative ideas that we can do with sewing. Look at the pictures and imagine how happy will be your children when you will give them these toys. In our time there are many low quality toys in stores and they are danger for our babies. 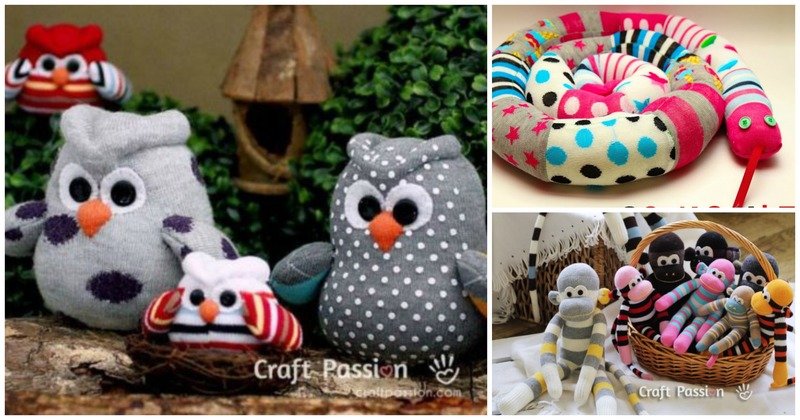 We have free tutorial for These Three toys: Owl, Snake and Monkey and you can sew it with your hands from 1oo% cotton socks. Choose any color socks you can also use old socks or buy new socks with pretty design and start sewing now. It will be prettiest and highest quality toy for your children. You can also make good gift for your friends child or for your grandchildren. Good luck and we hope you will immediately Use this tutorial. Thanks to author.